Landscaping is a big investment and you should expect your contractor to back their work. Our warranty provides you the peace of mind knowing your investment is safe because we stand behind what we do. “Hard structure” projects - which include stone and brick patios, driveways, and walkways are guaranteed for three full years after your project is completed. Constructed wood features, such as decks and pergolas are guaranteed for 18 months. When properly constructed, these landscape elements will last many years, with a minimum amount of maintenance. We believe this is one of the best warranties in the business - please contact us for additional details. 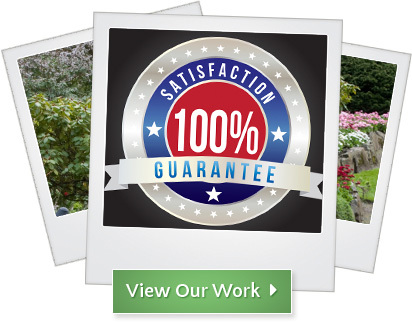 Our plant material is always hand-selected for each project, and is backed by a one-year guarantee. Conditions apply to the above warranties - please contact us for more information.